A consumer scrolls through the first search results page after typing in “insurance agents in Chicago” in the familiar rectangular Google search box. He clicks on your agency’s website. He calls the number listed on the homepage. It’s 2 p.m. on a Wednesday, but no one answers. So he clicks the back button on his browser, scrolls through the first Google search page results again, and chooses a different insurance agency. You just lost a potential customer. Examples like this demonstrate why every company should have an effective customer experience strategy. “Customers will always have an experience – good or bad – and it will influence their purchasing behavior significantly,” writes customer experience (CX) and strategy expert Phil Klaus for Design Management Review. The impact of this experience is undeniable: hence, the need for a strategy. 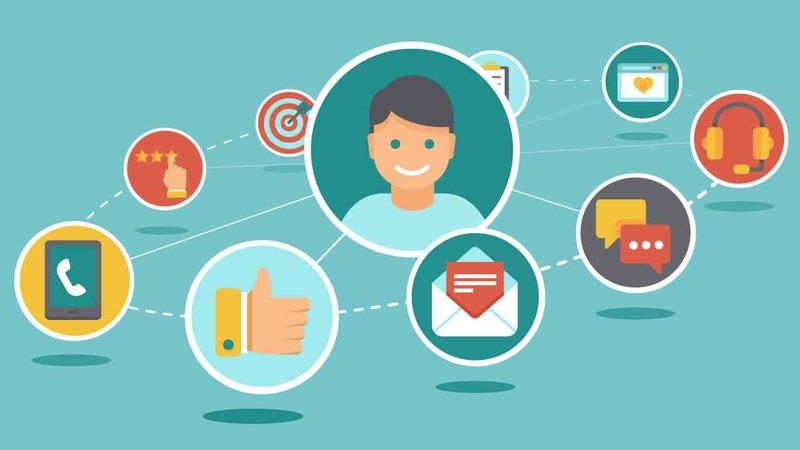 Customer experience strategy is the way in which your company creates and manages the cumulative impact of all interactions and experiences between your business and the customer, at every touchpoint across the entire customer journey. Some may define CX as the interactions between a business and a customer over the duration of their relationship. Others see CX as a kind of digital benchmark — the sum of customer interactions, say, on a website or a mobile app. Others, still, see their ability to respond quickly and accurately to customer questions and cases — the company’s support function — as the focus of customer experience. Here’s an all-encompassing definition of customer experience: it is the entire set of interactions that take place between your company and customers, and viewed entirely from your customer’s perspective. In order to have an effective customer experience strategy, you must first have the right leaders, a strong company culture, and a customer-focused company. If you are passionate about what you do, you’ll be motivated to make things happen. As a leader of your company, you should always think about the kind of customer experience and service you provide. Why? Because if you’re a passionate leader, people will want to follow you, writes Nozomi Morgan in Forbes. Let’s take a look at the success of Starbucks. Starbucks is a company that knows how to value its employees: all of them receive health insurance and stock options. Partners understand the importance of making a profit and creating positive experiences. The company’s people-first culture proves that how you value employees will have an impact on your transformation into a customer-centric organization. Before you can create a great customer experience, you must work to make sure your employees have a great experience, too. All teams within the company should be customer-focused and provide value for the customer. Before you can manage and improve your customer experience, you must first be able to understand it. The best way to understand your CX? Listen to your customers. What are they saying about your company, your employees, your products and services, and your brand? This information can be obtained from customer feedback, which can come from online reviews, social media, survey responses, E-mails, phone calls, and even YouTube comments. With customer feedback software, you can better understand what your customers really mean whenever they share their thoughts and experiences in their own words. The insights obtained from analyzing customer feedback will help you understand and improve your customer experience strategy. Segment your customers based on how likely they will advocate for your brand. One way to calculate customer advocacy is to use the Net Promoter Score methodology. This is a good baseline to start with: the goal is to convert as many customers as possible into brand advocates. How do you create value for the customer? Make sure every single team member across the entire organization is customer-focused and that they are committed to solving the problems of your customers. Again, keep in mind that you must also provide your own team with a positive experience. You customer experience strategy will not succeed if your employees do not feel valued. To continuously improve the customer experience, you might want to look at investing in a set of tools that help your organization become truly customer-focused. Also use customer experience metrics in order to measure effectively. And develop a process for closing the feedback loop: answer phone calls, respond to reviews, reply to follow-up comments and inquiries, and distribute customer feedback surveys. One key starting point for developing a customer experience strategy is managing and analyzing customer feedback. This helps you hear and understand what exactly your customers are saying about your business. Having passionate leaders and a culture that values employees is also essential to managing and improving the customer experience.